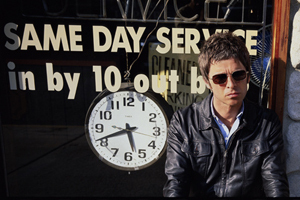 Noel Gallagher has said he's been recording at Abbey Road Studios in London in recent weeks and that he would continue work on the follow up to 'Who Built The Moon?' with David Holmes after his current tour ends. When asked about the sound of the songs written so far he said "70s disco" and "like the beginning of the world". He added that he hopes to release the album next year. Some other quotes from last nights Q&A are below.